One of Midlothian’s top tourist attractions, Rosslyn Chapel. Tourism brought £105.28 million to the Midlothian economy in 2015, up 25.9% since 2009. At the full cabinet meeting on Tuesday, councillors heard combined direct and indirect spend of visitors was up by more than a quarter and growing. 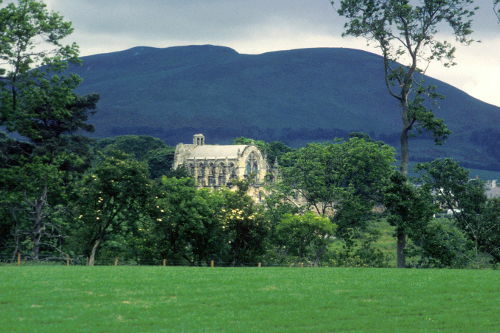 The cabinet member for tourism, Councillor Jim Bryant said: “From the historic Rosslyn Chapel to the beauty of the Pentlands, Midlothian is a fantastic tourist destination, especially with four new Borders Railway stations in the county bringing journey times down to around half an hour into the capital or the Borders. “Working in partnership with Midlothian Tourism Forum and VisitScotland, we are committed to fully supporting this key industry locally. Councillors heard that since the Midlothian Tourism Action Plan 2016-20 was launched, it’s enjoyed key successes in attracting funding for projects based around: Outdoors and nature, built and local heritage, food and drink, events, cycling, young people/youth tourism and business tourism. Working with Scottish Borders Area Tourism, Midlothian Tourism Forum has secured a £200,000 Scottish Enterprise grant for tourism. This will see match funding of £150,000 from the Borders Railway Blueprint Fund, established to maximise economic opportunities along the railway line.